It is understandable that students at university or college would want to experiment with different things, but if they are not careful, this inquisitiveness can land them into real trouble. This is especially true when it comes to things like illegal drugs. One of the substances that students may be tempted to try is magic mushrooms. The mind-altering drug in this type of fungi is often seen as a fascinating and fun thing to try. The reality is though that experimenting with magic mushrooms can be very dangerous because of the altered sense of reality that comes with them. Magic mushrooms are a type of fungus – they are similar to the kind of mushrooms we eat. 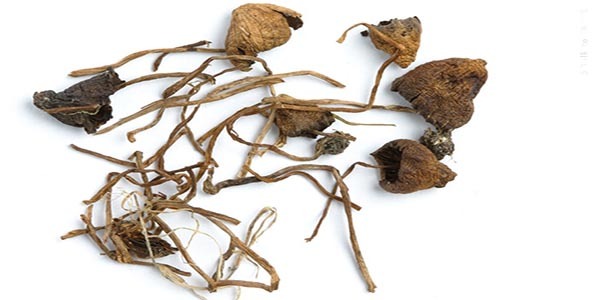 The difference with magic mushrooms is that they contain a powerful hallucinogenic drug. There are different varieties but the most common magic mushrooms contain psilocybin – another type of magic mushroom contains muscimol and ibotenic acid. What are the Effects of Magic Mushrooms? Interesting Fact: Most species of Magic Mushroom are found in Mexico. Magic mushrooms are a type of psychedelic drug, similar to LSD, meaning that they can interfere with the way a person thinks and experiences reality. Those taking magic mushrooms can experience very intense audio and visual hallucinations, the effect of which can last for hours. However, these visuals and such can go one of two ways in many cases. Sometimes the trip can be interesting, relaxing and fun, on the other hand it can be a “Bad Trip” which can strike terror through it’s horrendous and scary visuals. In some parts of the world, this drug has been used in spiritual ceremonies, but the most common reason for people in the west using it is just for experimentation. How are Magic Mushrooms Consumed? Magic mushrooms are not only illegal in most parts of the world, but they can also be very dangerous. Some of the potential hazards students can face when using this drug will include those listed below. Interesting Fact: Professor Timothy Leary of Harvard University tried to advocate the positive uses of both Magic Mushrooms and LSD. Though after those drugs were found to be harmful in the long-run, he lost his job at the University. Those picking their own magic mushrooms can be poisoned by choosing the wrong type. Those selling magic mushrooms can poison others because they have picked the wrong type. Some people have a very bad trip when they take mushrooms. It can be a terrifying experience that lasts for hours. Magic mushrooms can go bad if they are not eaten quickly. This means that an individual can be poisoned because they have consumed a dangerous mould. Having a particularly bad trip could trigger psychiatric problems which can be life-long. Those already dealing with psychiatric problems will find that taking mushrooms can greatly exaggerate this. Those who feel that magic mushrooms are having a negative impact on their life may need to get some help in order to stop. An addiction therapist will be able to make some suggestions how the individual can escape this type of substance abuse problem. In some cases, it might be best that the individual enter treatment in rehab. Read more about children and students with addictions in our student addiction guide.